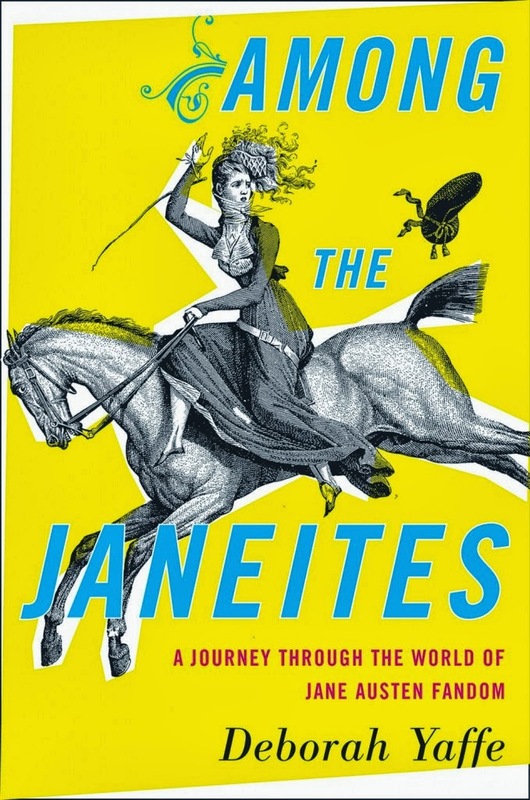 I don't think I've read any of Jane Austin's books, but being a Janeites sounds like a lot of fun. Enjoy! Sounds tempting...and just "seeing" what's in her drawers and her closet makes me want to keep reading. Laurel-Rain Snow - The dress descriptions paint quite a picture! Good intro! 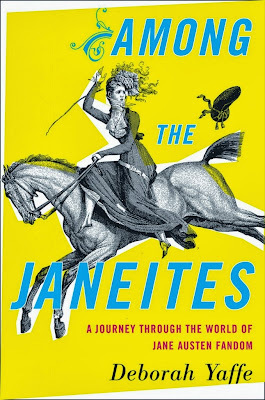 I'm not a Janeite, sorry, but those who are, are intense in their respect and affection for the author, so I know this must be a great find for you. Enjoy! I would, too. It's funny - I've been listening to Claire Harman's book, Jane's Fame, all about how much she 'disappeared' in the decades right after her death. What a difference 200 years makes! Audrey - I've been considering Jane's Fame, too. Will be curious to know what you think of it. I really enjoyed this book, especially since I've met in person or online most of the people mentioned in it. I thought it was very accurate but also very accommodating--Austenmania is a very big tent, and there's room for everyone. The bit about the dress is wonderful. I acknowledged early in my Janeite years that wearing Regency dress was not in the cards. Personally, I don't think the styles are flattering to many people--I far prefer the Edwardian look myself, and the dress I invariably wear to JASNA AGM balls is more appropriate to Downton Abbey circa 1920 than Pemberley circa 1813. Hope you enjoy it--I sure did! JaneGS - I'll take Downton Abbey dress any day! Love that you know many of these people... can't wait to get started. I've only read a couple of her books and a biography about her, but it is my intention some day to read them all! I love her. Not sure I'd dress up like her but I think she was a woman way ahead of her time. I've never read any of Austen's books, but I'd keep reading. It sounds like a fun read. I read P&P years ago, and that is about it. This does sound rather fun though. I just might read more if I had this one, but probably won't seek it out. Enjoy and thanks for joining out. I've only read one book by Jane Austen but I want to read more. I'd guess I'm a Janite. At least I know I love all of her boks. This sounds like a book I'd like. I look forward to reading your review. Our JASNA chapter is going to read & discuss this in November, and I'm looking forward to it. The "Florida lawyer" with the byzantine theories (bizarre beyond words) is on an Austen yahoo groups I help moderate. Lisa - Sounds like a fun group. I still belong to several yahoo groups and even technically still co-own one, although I haven't been active there in years. this has been on my list -- I'm not in any fan club, but I'm an Austen fan and this sounds fascinating. I adore Jane Austen and her books but I don't belong to any groups. This book sounds fascinating and I'd love to read about these avid fans and their activities. I hope it's the fun and fascinating read it sounds like! Amy - I have high hopes for this one!